The Tyson & Company omnibus service operated in New York City in the mid-18th century. The company operated several routes, and is listed as having 29 stages in the company’s fleet. Omnibuses were urban stagecoaches that could carry multiple passengers like buses. 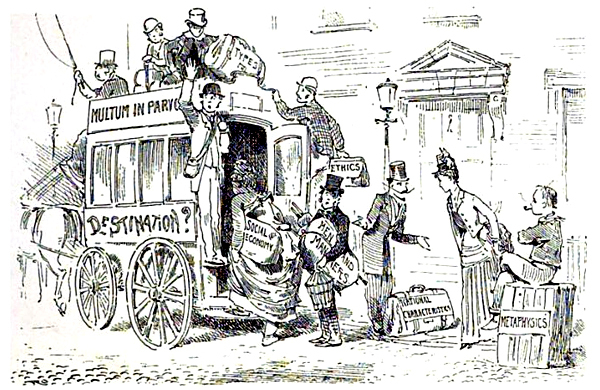 Passengers paid their fares using tokens, and provided them to the driver upon boarding. There were several omnibus companies operating in Manhattan during this era, all which had their own unique tokens. The Tyson & Co’s omnibus tokens have been dated to somewhere around 1851¹, yet at least one other source dates the tokens to around 1845². Research reveals that there are four distinct varieties of this token. It should be noted that this token is not listed in any of Rulau’s token guides. Rather, the token can be found in Volume I, 6th Edition of the Atwood-Coffee Catalogue, as well as a single line listing in A Guide Book of United States Tokens and Medals, by Whitman Publishing¹. 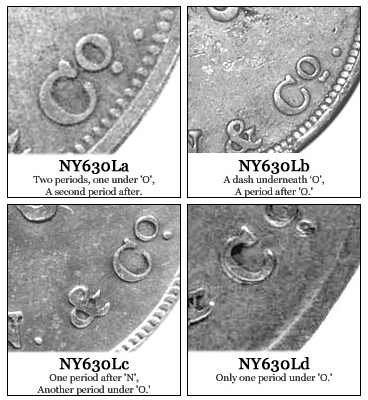 The four varieties of the Tyson & Co Telegraph Line token listed in Atwood-Coffee’s transportation token catalog: NY630-La, NY630-Lb, NY630-Lc, and NY630-Ld. Their differences are depicted in the illustration to the right. Below are the four varieties of the Tyson & Co Telegraph Line Omnibus tokens. Of the four varieties, the NY630-Ld is by far the most rarest. Most Omnibus tokens were holed after they were struck so that the driver could place them on strings¹.